John Raftery is a member of the firm's Management Committee and an Associate Managing Principal —a role dedicated to the effective management and success of the firm's attorneys. 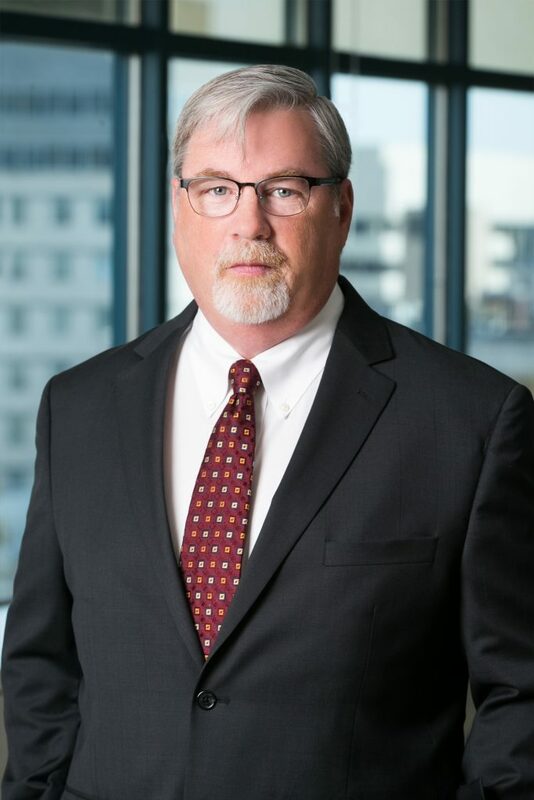 Leveraging years of experience in real estate litigation, fair housing matters and business law, John serves as a trusted advisor to businesses and local and regional management companies. John provides time tested strategic and forward looking advice to assist his clients in negotiating or litigating through legal obstacles and difficulties– without losing focus of cost benefit parameters. John’s clients include property management industry leaders, managers and owners of residential and commercial real estate, C-level officers of small and midsize corporations, directors of not-for-profit organizations and entrepreneurial individuals seeking cost-effective representation. John is sought after by business leaders for representation and guidance on all matters involving real estate, leases, construction, landlord-tenant disputes, fair housing investigations and litigation, mold and pest-infestation claims, business torts, discrimination claims, and business transactions. He focuses on building partnerships with individuals and organizations, advocating for his clients through cost-effective representation - including offensive litigation when necessary. His experience as a litigator spans most trial courts in New York, Virginia, Maryland and the District of Columbia. Earlier in his career, John served as a special trial attorney for the U.S. Department of Justice. A recognized authority on fair housing and landlord-tenant matters (commercial and residential), John lectures to local and national industry associations. Audiences for his speaking engagements have included Property Management Association (PMA), the Apartment and Office Building Association (AOBA), the Institute of Real Estate Management (IREM), and the Mid-Atlantic Affordable Housing Management Association (Mid-Atlantic AHMA). Currently, John serves as General Counsel for Property Management Association, as well as the USA Bobsled & Skeleton Federation, where he also serves on the board of directors. "The Monday Morning Minute: The difference between the ADA and the FHA and how they relate to a tenant’s service animal "
Access to Rental Housing on a fair and equal basis is a right – and it’s the law. As a property owner, management agent or if you make your living from residential real estate, spend a minute a week to protect yourself from fair housing claims and suits. Check out today's The Monday Morning Minute. "The Monday Morning Minute: What do you do when a tenant claims he/she needs multiple support animals? " "The Monday Morning Minute: An existing tenant’s physical ailment triggered by a new tenant’s service animal"